Today on the blog I have the new Spring collection by Jessica, the La Vie en Rose collection. 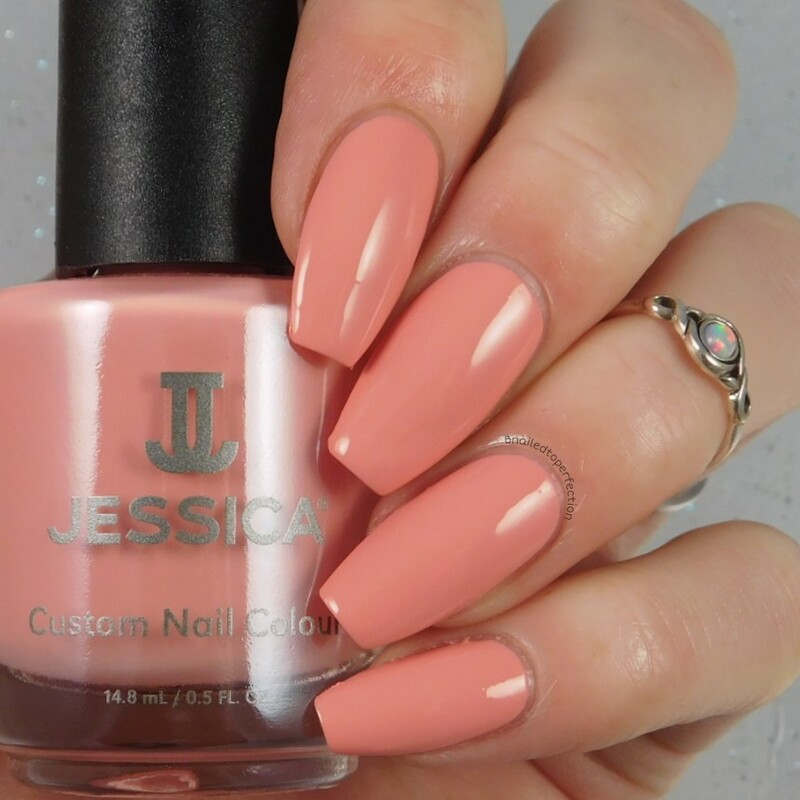 This collection has a lovely palette of colours which include pretty pink and lovely nudes. Just what we need to bring us into Spring! Lavender Lush is light lavender with an opalescent finish. The finish on this is just beautiful but hard to capture on camera. Two coats for full opacity. Peony, a light coral creme, is really actually quite bright! I would class it as a neon pastel to be honest. The only downside is that the formulation isn't great. This one took three coats for full opacity and it was a tad streaky to apply. 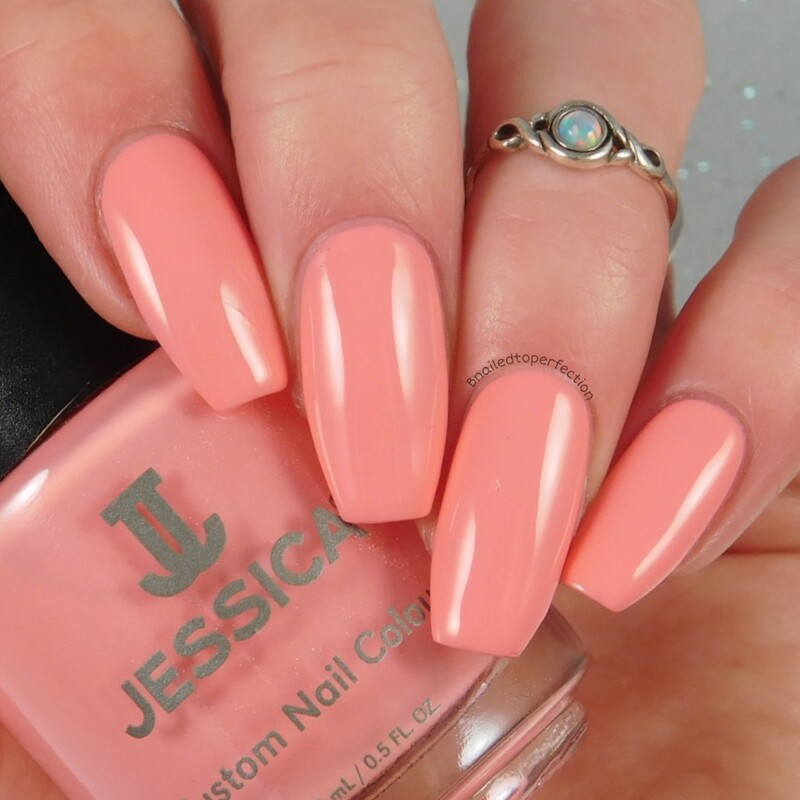 Posh is a lovely warm peach creme and only took two coats for full opacity. How pretty is Pinkies Up?! This is a dusty rose creme and was opaque in just two coats. 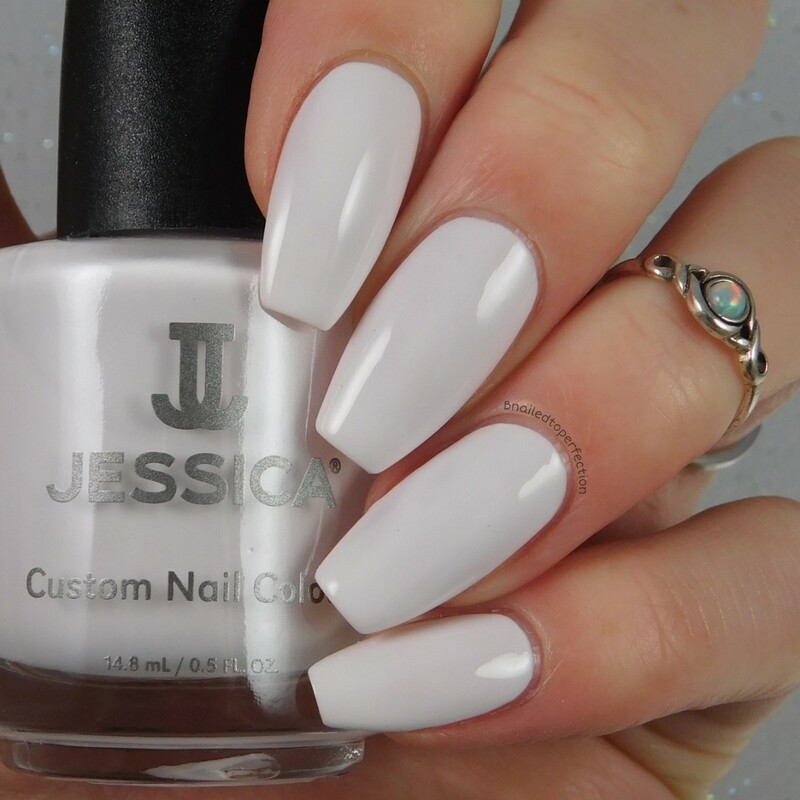 Lavish is really pretty bright white with a pink hue to it. I was quite surprised that this only needed two coats for full opacity. 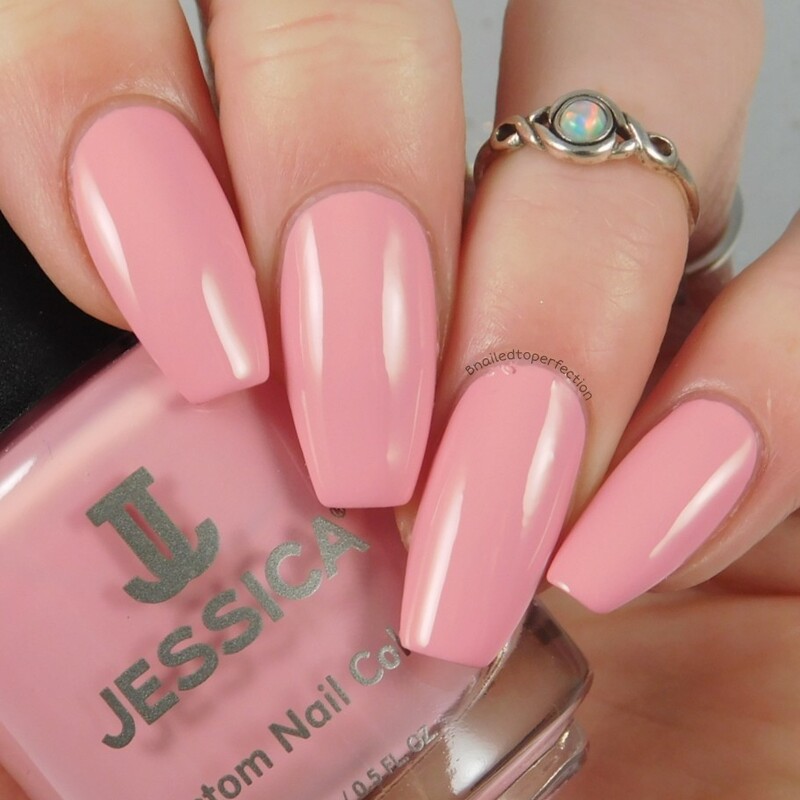 Cheeky is a pale beige with a hint of pink. Another two coater!! I did a little bit of Valentines themed nail art with a few of the colours from this collection. Firstly I did a simple design using Lavender Lust as the base and some cute hearts from Charlie's Nail Art. These are only 49p!! On my second design I used Pinkies Up and Lavish and added some stamping over it. The images are from Lina Nail Art All About Love 01. 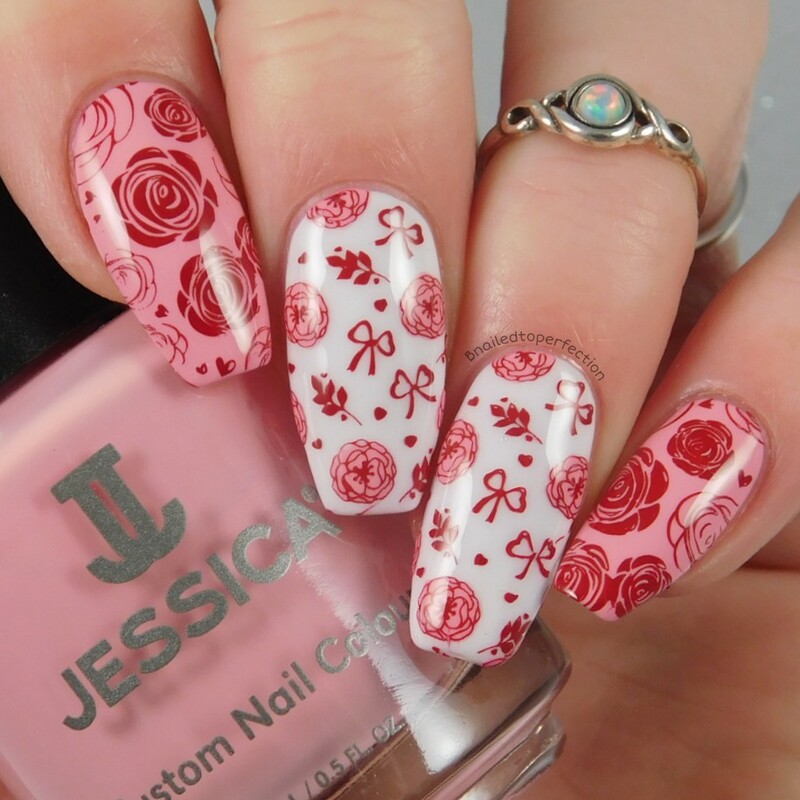 I stamped with Red Dragon from Colour Alike and coloured in the mini roses with Pinkies Up. You can pick these up direct from Jessica Cosmetics for £11 each now. They will also be available from Amazon Luxury Beauty, selected John Lewis stores and Spas and Salons nationwide. Which is your favourite shade? Are you loving this collection?